SEMA, or the "Specialty Equipment Market Association", is an industry trade group representing the Automotive after market manufacturers. 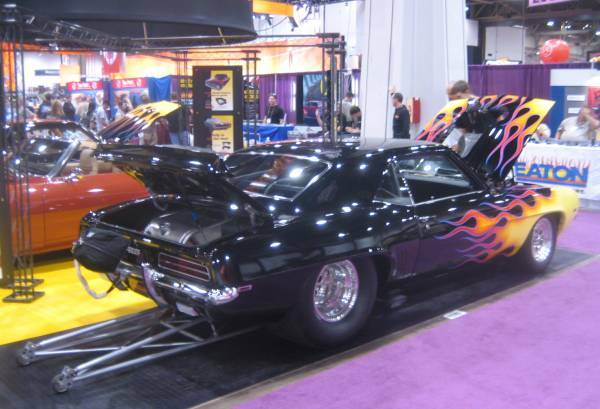 Other than the automotive manufacturers themselves, SEMA represents everything fun in the automotive world (including Camaro show cars and related high performance equipment). That said, the annual SEMA trade show allows for the gathering and exhibition of manufacturers new products, traditional products, fun toys and stuff for your wish list. This years SEMA show was held from Tuesday November 4th to Friday 7th in the Las Vegas convention center and occupied every building associated with the center and a few more. This show is not open to the general public and requires industry association. I arrived at the opening time of 9:00 and spent the entire seven and a half hours available till closing time to check out every booth I could. It was not possible to see everything. It was by far the largest trade show I have ever seen in my life. 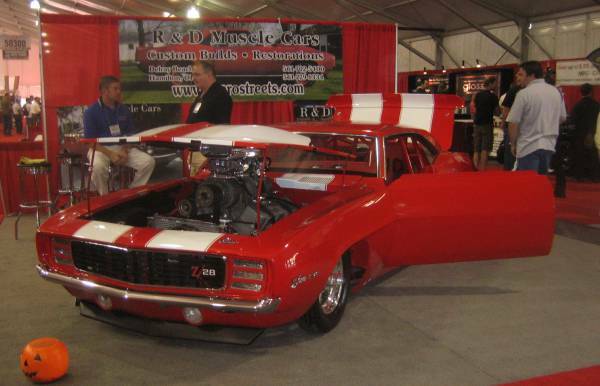 For this red blooded American, it was heaven on earth with all the performance cars, performance equipment and scantily clad models promoting the benefits of the vendor's products. Performance engine parts, drive train, chassis, brakes, tools, tires, wheels, wind screen, interior parts, stereos and electronic device manufacturers were all represented in great numbers. Camaros, especially first generation Camaros, were plentiful. 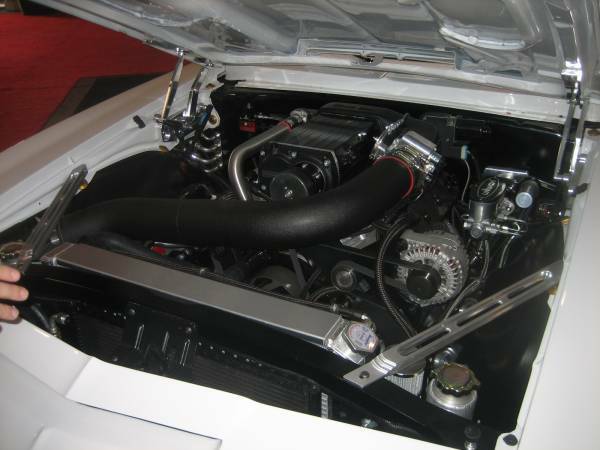 The Chevy small block and related performance parts were also in abundance. While the show does include off road performance parts, truck parts, race car parts and street car parts, it will not disappoint the Camaro enthusiast. While parts for the traditional Chevy V8 are abundant, the newer LSX line of motors are beginning to be supported by Edelbrock and World Products who both had a large portion of their booths dedicated to this engine. These show cars were impressive. We're talking six figure budgets for the cars upgrades (Probably a write off for the boss). Some of these cars you may even recognize from various catalog or magazine covers. There were models everywhere (as there should be). Also popular this year was extensive use of billet aluminum parts wherever possible. 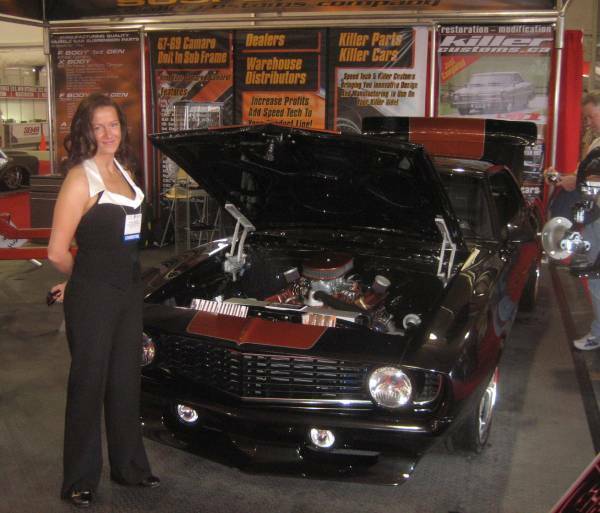 SEMA was overwhelming but wonderfully satisfying at the same time. The SEMA show was like the largest performance parts catalogs coming to life with all of the traditional vendors like Accel, Crane, Holley, Mallory, Edelbrock, Hurst, Mr Gasket, Richmond gear, Zoom clutches and Brembo brakes along with hundreds of other esoteric manufacturers which go un-noticed by most hot rodders but are still very cool and exciting. I took over three hundred photos to generate new material for CamaroTech.com which I will be sorting, digesting and adding over the next few months. For more Camaro performance information, see CamaroTech.com.